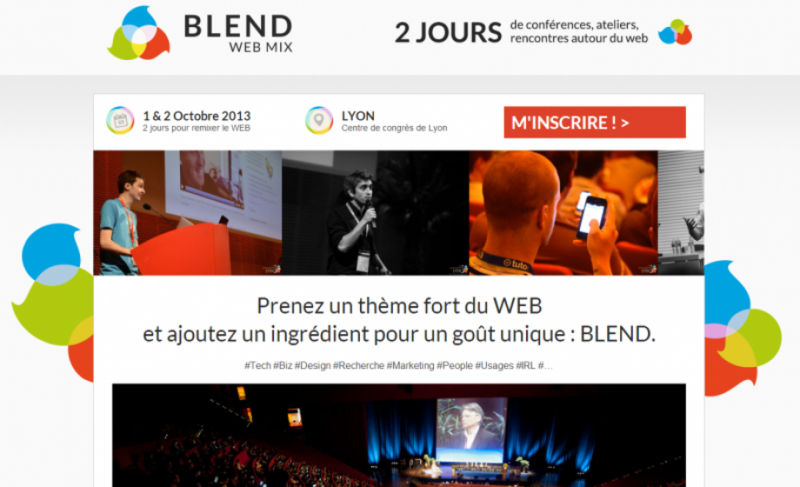 Last chance to be a part of BLEND Mix's startup contest! Last chance to be a part of BLEND Mix’s startup contest! Coming up on October 1st and 2nd, France’s tech community will decend on Lyon to ‘blend’ and share their experiences and innovations. Bringing together entrepreneurs, investors, designers, developers, researchers, bloggers and students, BLEND Mix seeks to not only enable partcipants to deepen their knowledge in their area of expertise, but also encourages them to meet and share their experiences with those of different areas of focus or backgrounds. The organizers have pulled together a top quality program with a list of key leaders from France’s tech scene, but a key highlight will be their startup competition. Twelve finalists will be chosen by a jury of tech leaders to receive VIP tickets and pitch the jury on the first day of BLEND Mix. Of the twelve, 3 superstar finalists will be chosen to pitch on the main stage during the conference closing session. The jury is composed of several key enterpreneurs and investors, including Renaud Visage (Eventbrite), Olivier Mathiot (Price Minister), Jean-David Chamboredon (ISAI Capital Risque), Nicolas Debock (Xange), Martin Mignot (Index), Jérôme Masurel (50 Partners), and Eric Dupin (Presse Citron), offering startups the chance to get on the radar of some of the top players in France’s tech scene. The deadline to accept applications is coming to a close on September 11th, so if you want to apply you need to move fast! To apply, you just need to have raised less than €1 million, been in existence for fewer than 3 years and, of course, be a cool, nice team. So, if you’d like to apply, do so here today!